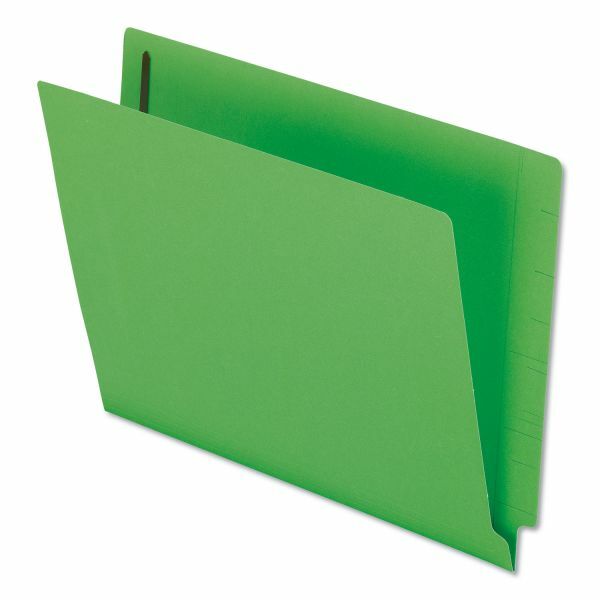 Get documents organized with 2" capacity fastener in front and back interior covers. Tabs are scored for label placement. Pendaflex Reinforced End Tab Expansion Folders, Two Fasteners, Letter, Green, 50/Box - End-tab fastener folders offer a way to secure you important documents. With a 2 capacity, two bonded fasteners in positions 1 and 3 hold and organize documents securely inside the folder. Heavyweight, 11 point stock includes a reinforced, straight-cut tab that stretches from top to bottom for plenty of labeling space.